The U.S. Constitution protects freedom of thought, freedom of expression, and includes a prohibition on the infringement of the right to bear arms. A large number of U.S. citizens engage in activities that exemplify these protections -- individually and in combination. Since 9/11, however, an exception seems to have been made for Muslims. Constitutional freedoms are disregarded in order to enable law enforcement to mount highly-publicized prosecutions of Muslims who engage in "training camp" activity. 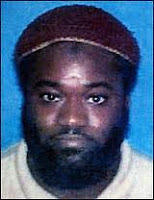 Many Muslims have been given long prison sentences for attending training camps, and even for attempting (unsuccessfully) to join a training camp abroad to fight abroad. There is, of course, nothing illegal about attending training camps. Paramilitary groups in the U.S. with extreme ideological agendas, ranging from white supremacists to anti-government ideologues to religious fanatics to hate groups, regularly hold training camps in the woods to practice weapons training and ideological indoctrination. The KKK has a training camp near Washington; nobody bothers them because indoctrination and weapons training is constitutionally protected free speech and exercise of the Second Amendment right to bear arms. The criminal line is crossed only when such groups conspire to commit a specific crime. However, preemptive prosecution makes an exception for Muslims. Muslims are regularly targeted and convicted for attending training camps inside or outside the U.S., even if no specific crime is ever discussed. There is a long tradition of U.S. citizens going to fight in foreign conflicts. Americans fought in the Spanish Civil War, the Irish “troubles,” the Israeli conflicts, the Russian Revolution, and many other conflicts in which the U.S. was officially neutral. Merely going abroad to training camps––or even fighting––is not illegal, as long as the Americans do not support America’s official enemies. Representative Peter King (R–NY), chairman of the House Homeland Security Committee and instigator of the recent “King hearings” on the radicalization of Muslims, is a good example, having traveled to northern Ireland and supported the IRA when it killed civilians. But material support laws make an exception for Muslims, who are convicted merely for trying to join a training camp abroad, even when the training camp is directed at the liberation of Chechnya or Kashmir or Palestine or some other area where America is formally neutral. It is natural for American Muslims to feel strongly about the conflicts abroad that involve their ancestral homelands, where they have family and cultural ties. When they see their ancestral families and culture threatened in places like Chechnya, Kashmir, Palestine, Bosnia, Somalia, Afghanistan, Iraq, and Iran, they naturally want to defend the people and culture they love, and believe that defending these people and culture will not in any way hurt the U.S. Romantic, idealistic, and self-sacrificing young men (and women) are often those most attracted to defend such foreign homelands. (See For Whom the Bell Tolls by Ernest Hemingway.) Thus it seems particularly harsh that even unsuccessful attempts to attend training camps abroad by Muslims should be punished by long prison terms. It is also difficult to know how seriously the young men will react to the training camps. Is it just romantic talk that will quickly be forgotten, or might it lead to something else? Each person reacts differently. Yet preemptive prosecution assumes that each Muslim who attends a training camp will emerge a committed warrior against the U.S. The result is that young Muslim men who may not have any interest in violence may nonetheless be convicted of terrorism and incarcerated for long periods of time after attending a camp. On September 29, 2001, Jeffrey Leon Battle, Patrice Lumumba Ford, and Habis Abdulla Al Saoub were discovered by a law enforcement officer target-shooting in a gravel pit. A few weeks later, they left on a journey to Afghanistan, China, and Bangladesh and returned separately to the U.S. in late 2001 and early 2002. In 2002, the group traveled to China, supposedly for the purpose of entering Afghanistan and joining the Taliban. However, they were turned back at the border, and all but Al Saoub returned to the U.S. On October 3, 2002, the group was indicted for trying (unsuccessfully) to join a terrorist organization. All of the defendants eventually pleaded guilty, except for Al Saoub, who was never caught and was killed in Afghanistan in October 2003. Currently, Jeffrey Leon Battle is held in the CMU at Marion. His release date is set for March 26, 2019. None of the Portland 7 is held at Terre Haute. Patrice Lumumba Ford is serving an eighteen-year sentence (i.e. same as Jeffrey Leon Battle). October Martinique Lewis was sentenced to three years in a work camp. Muhammad Ibrahim Bilal received a ten year sentence, but is believed to have been released. Ahmed Ibrahim Bilal received an eight [ten?] year sentence, but is believed to have been released. As indicated above, Habis Abdulla Al Saoub died after going to Afghanistan. Maher “Mike” Hawash - sentenced to seven years and was released in 2009. How are you? Fine, I sincerely hope. I must say that I am very pleased to have received your letter that you wrote me. By your letter I can tell that you are a very kind, and genuinely concerned with the plight of those of us in the world who have been victims of oppression. You might not as of yet overstand the statement that I am about to make, but I assure you that it is coming from a sincere and honest place. We all are a part of the human family, we are all creature who are sustained by God Almighty. We all have a purpose for our very existence, and we strive and struggle to meet and live up to that proper and correct way of life, that could bring all of humanity in harmony with the will and way of God Almighty's righteous path. Joe, you are about 10 years wise than me, I'll be 43 years young next month on the 29th day. We both are babies according to the recorded life span of man in the Bible. I'm sorry to hear about your 2 divorces; I know that going through that took an emotional tool on you as well as your children. I have one son and I love him tremendously infinite. The last time I saw him or spoke to him he was 6 years old. And as of last month he is now 17 years of age. What most people do not overstand about prison, is that it is much like being dead and buried in a grave. For the most part it is like, out of sight out of mind. How people walk away from the grave yard and hardly ever return again except to leave some flowers every once in a while . . . . Here is a little bit more about me. I too also like to travel. I've been to Mexico, Canada, South Korea, Hong Kong, and mainland China. I've also been to Bangladesh. I have a fascination with languages. I can read and write Hebrew, Arabic, and I can speak a little Spanish, Swahili, Bengali, and just a little bit of English :-). I enjoy doing yoga. I meditate and of course pray at least 5 times a day. When I'm motivated I also enjoy jogging for about 1 hour every other day, but it's been some time since I've done that. I also enjoy writing poetry and songs. I like to sing and I would like to learn how to play guitar. I've been known to paint as well as crochet. When I was out in the so called free world I was a Certified Nurses Assistant. I worked in hospitals, in rehabilitation clinics, and elderly homes. I also started my own security company. I have the desire to become a chef. I would like to live on one of the islands and open up a vegan restaurant and teach yoga and run every morning for 1 hour on the sandy beaches. Although it is a priority for me to make it to Paradise in the hereafter, I do intend to show Allah's Creation that he has blessed us with its proper due appreciation. I refused to look past the detailed beauty of it all, especially when I can see that it all is pointing us towards our heavenly God. I am concerned with the Earth as well as with animals being treated and cared for with love and proper respect as the Creation of God, gift for all of humanity. I've always been a kind hearted, generous, and loving, and affectionate person. I'm also gullible because I take people at face value, for me to be otherwise would drive me crazy from always being suspicious of people motivation. In the prison environment everybody is unhappy for the most part. It is rare to see anybody smile, except for those of us who are believers and spiritually inclined. Everything is harsh, there are no smiles from staff or officer or inmates. It's all about speaking to each other in a rude manner, display of anger, violence or threats of some sort of punishment. And I feel sorry for them all, because they are all God's creatures, and life is meant to be enjoyed. They all seem miserable. Hatred, anger, negativity in general is the prevalent evil spirit of the prison institution. But I strive to stay clear, and disassociate myself from negativity as much as I can control. I strive to stay positive and in the spirit of loving kindness as best as I can in this environment. I appreciate your letter that you wrote me, and I hope pray that Allah almighty God continue to guide you towards his pure light and path of truth. Ma Salaam. One Love One Heart One Aim One Destiny. Freedom, Peace, and Justice for all.